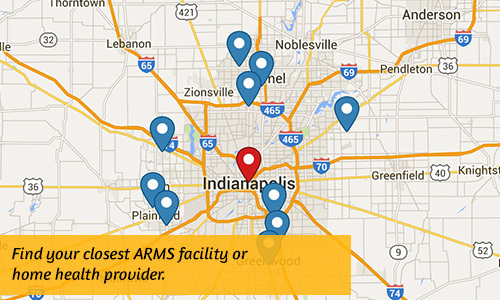 ARMS is a medical practice and management company dedicated to improving patient care in rehab centers, nursing homes, and home health environments. For some people, the progression of their illnesses brings them towards the end of their lives. When recovery is no longer the goal, ARMS seeks to support patients and families during this difficult and emotional time. Emphasizing comfort, patient-centered decisions, and dignity are all critical. Dr. John Chappo, an ARMS partner, provides medical direction to Alpha Transitional Care for Indianapolis-area hospice patients. Nursing Home Costs – Who Pays? Short Term Nursing Home Stay for Rehab – Who Pays?